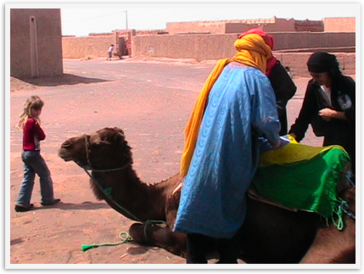 Mozart rode in on a camel for her concert with fifty Berber children excitedly waiting! Most of them live in homes without running water and have a very simple life, so a violin concert was a unique experience. It is a culture that loves music and art, so they were very enthused and those that had traditional clothes dressed up in them. 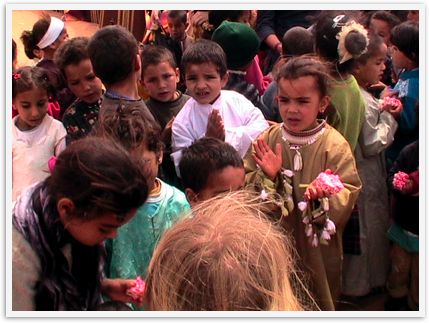 They were clapping and singing in French when Mozart entered with smiling faces and glee. 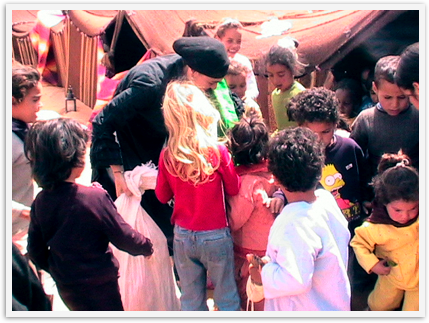 Thanks to Allessandra of Les Nomads (who had thought of and arranged this concert) we brought some healthy treats of fruits and popcorn for them to enjoy too. Everybody was so excited and they were beautiful and sweet, some of them were touching Mozart’s hair and hugging her. Mozart has really been looking forward to doing this concert, although she seemed a little nervous when she began. 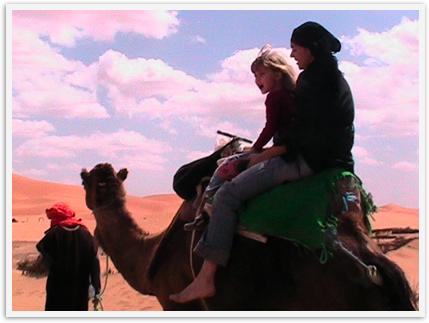 She even looked a little shocked when the camel got up as it rocked much more than she expected. 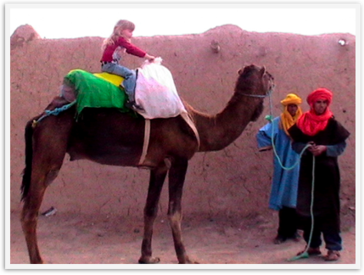 She started to say something like “I am not sure I want to ride this camel” but soon adjusted to it. She really is such a trooper and naturally brave. When they put it down and back up again to put Allessandra on with her because she is too young to ride alone, she got used to the extremes of the ups and downs of camel mounting. 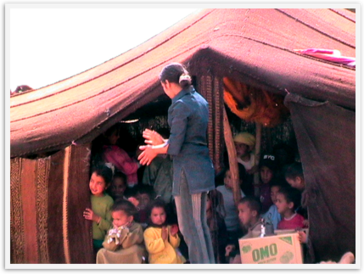 She relaxed and enjoyed her ride through the desert to the children who waited in a Berber tent and soon looked and acted like a pro. It was not your normal concert experience as fifty excited and wild kids (from one to seven) in the desert bring their own special chaos, but her violin teacher would be proud of her. She wanted to do a perfect job for the kids so was a little flustered at first as she did not get a warm up and with all the energy, but soon relaxed and enjoyed herself. We decided to keep it to a short program because the kids were so young. It really was a magical experience to observe. 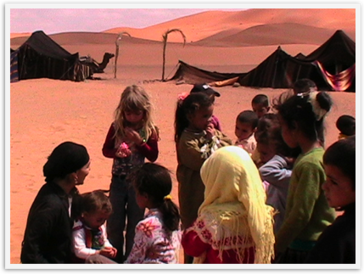 When she began, the children became very attentive and the setting with the Sahara as a backdrop was dream like. The video is amazing and I will get it up when I get a chance. It was a once in a lifetime experience that none of us will ever forget! Wow! What an experience! This has been one of my favorite entries so far. Thanks Julia! Yes, it really was a spectacular once-in-a-lifetime experience that we will never forget. I'm so glad I discovered this blog!! 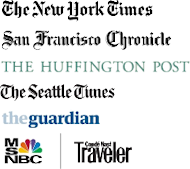 I'm going to Morocco in October and your photos and stories have been amazing! It doesn't matter that you wrote this three years ago. All the best to your and your lovely family! 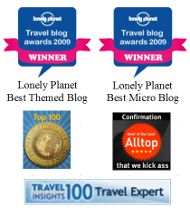 Anis- I'm so glad you found this blog too! ;) Welcome. 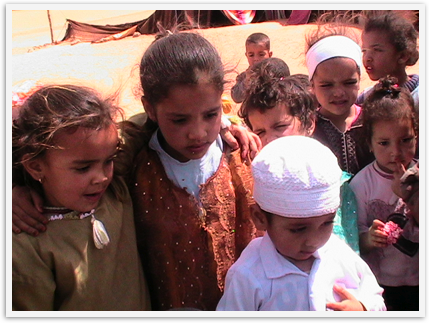 We have lots of information on Morocco, so help yourself and have a wonderful time! You will love it! I'm female and plan to go alone for two weeks- do you recommend it? I've travelled solo several times before so I'm confident that I'll be fine but having been to Morocco, what do you think? 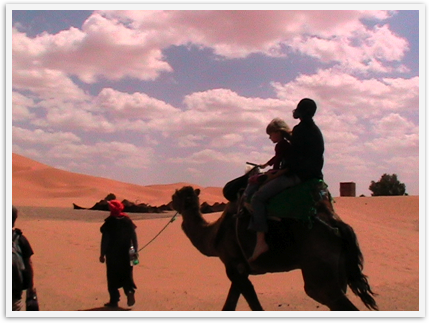 Anis- For me and us it was great, the people were very hospitable and kind and we saw single women touring there. BUT I would talk to other single women who went there (on travel forums etc) to get more information because I am older & was with a family, so it could be different for a young single. I would not dress scantily there as that is against the culture. 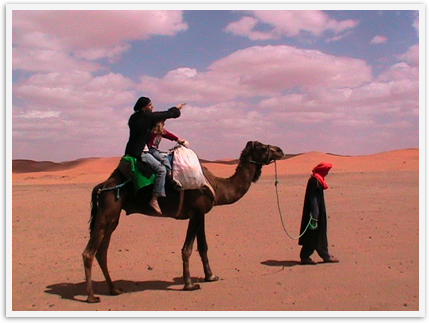 There are touts in Morocco, but we did not find them that bad. Marrakesh was the worse for that. 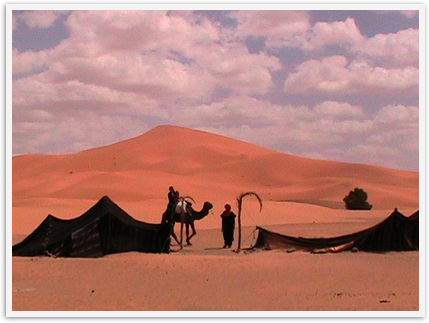 We'd been warned that it was bad, but it wasn't for us, easy to ignore.Even Tangier was fine. If you speak some French that would be helpful ( we don't speak much and wished we did). 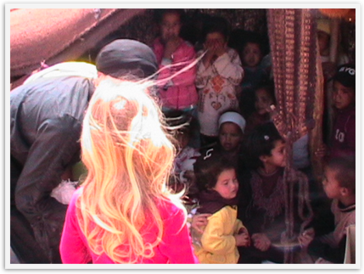 Remember too that Europeans go to Morocco frequently ( cheap flights from UK, France, Spain etc) so they are use to travelers and the King prizes them so wants to protect them. Thank you for the advice. God bless! !